Sears Voucher at Groupon | A Savings WOW! 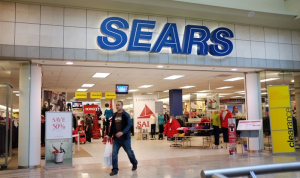 We love shopping at Sears for many things, including apparel, shoes, gifts, home decor, electronics, and so much more! Right now, get $10 for $20 worth of apparel, footwear, home, and jewelry products with this Sears Voucher on Groupon. PLUS, get 5% back in points when you purchase it through your Shop Your Way account. – Next, you will see a pop-up box. If you don’t have a Shop Your Way account yet, fill out your name, email address, and the password you would like to use for your new Shop Your Way account, then click on “Submit.” If you already have a Shop Your Way account, click on “Already a member? Sign in” and then sign into your account. – You should be connected to have me as your personal shopper. As your personal shopper, I can help you with your shopping needs, send you coupons, and share deals with you. – Also, when you create your new Shop Your Way account, you will receive $5 in points! Plus, you’ll also receive free shipping with Shop Your Way MAX for 90 days (for eligible purchases). Once you are in your Shop Your Way account, search for “Groupon” and then click on “Shop now.” It will bring you to the Groupon site, where you will search for “Sears.” You should be able to find the $20 Sears Voucher for $10 deal and follow the directions to complete your purchase. Once you complete your purchase, you can either print out your voucher under “My Groupons” or show your voucher via the Groupon mobile app in-store. Don’t forget to show your Shop Your Way rewards card or give the cashier the phone number linked to your account when you redeem your voucher so you can earn points from your purchase at Sears! What a great way to maximize your savings!